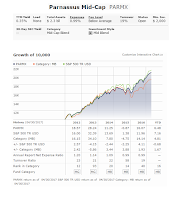 Parnassus Mid Cap Fund (PARMX) is one of the top rated stock mutual fund. This equity fund has delivered consistent returns. This fund invests in mid-sized companies. This Parnassus Mid Cap Fund objective is to provide capital growth. The fund invests mainly in medium-sized companies. The fund's managers consider a mid-sized company to be one that has a market capitalization between that of the smallest and largest constituents of the Russell Midcap Index measured at the time of purchase. The Russell Midcap Index contains about 800 of the smallest companies in the Russell 1000 Index. The fund may also invest up to 20% of its net assets in smaller- and larger-capitalization companies. This Parnassus Mid Cap Fund has below average expense ratio of 0.99% and the average annual expense ratio for the mid-blend category is 1.11%. The current yield is 0.35%. This fund has been managed by Matthew D. Gershuny and Lori A. Keith. You can start investing in this fund with as little as $2,000. Several brokerages where you can buy include Raymond James, Schwab All (Retail, Instl, Retirement), Morgan Stanley, Fidelity Investment, etc. 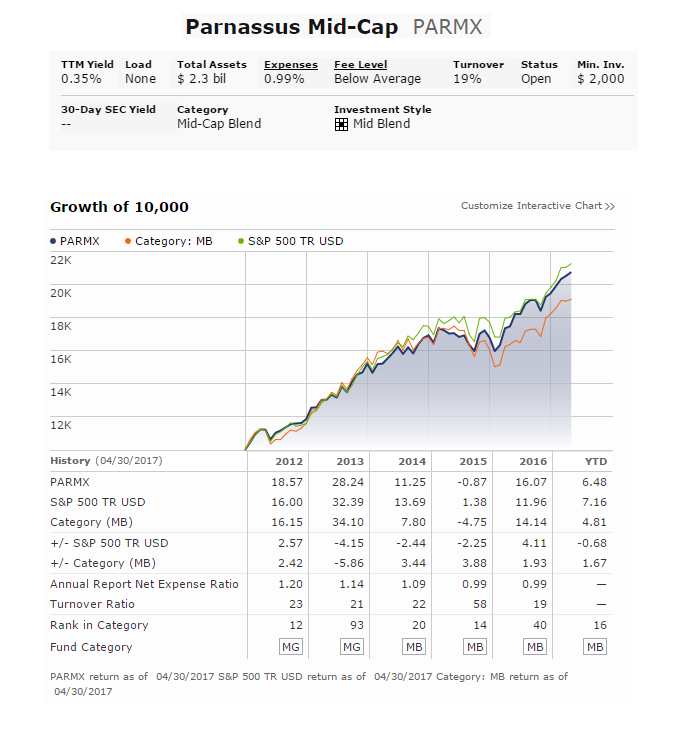 Note: This Parnassus Mid Cap Fund (PARMX) is part of Kiplinger’s best mutual funds.